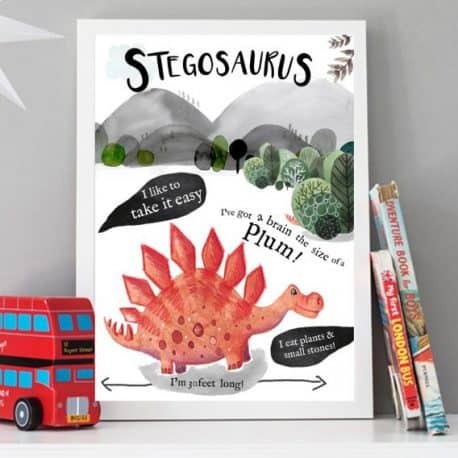 The print has stegosaurus facts so is educational as well as gorgeous! It’s available as an A4 print and an A3 print and can be framed (framing available in the UK only). 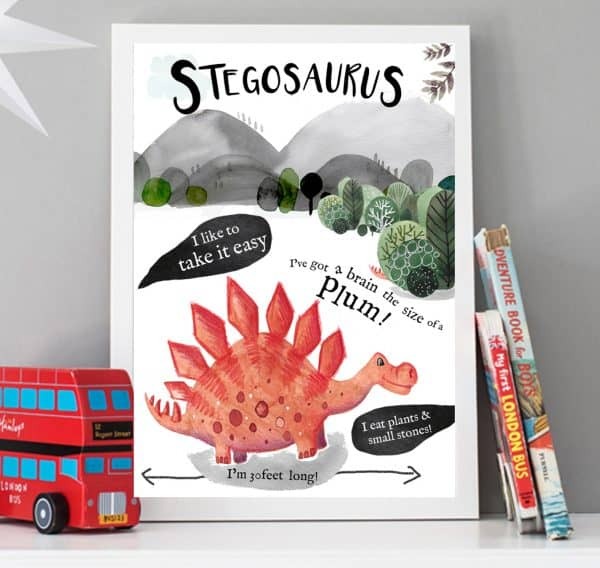 Printed with light-fast inks in high quality art paper – this print will not fade and pings with beautiful colour. 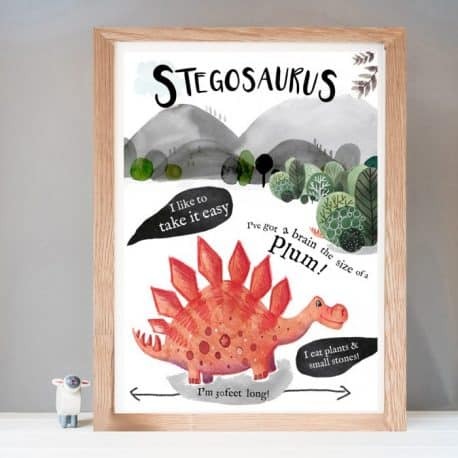 Our gorgeous new Stegasaurus dinosaur print is an instant update for the nursery or bedroom. 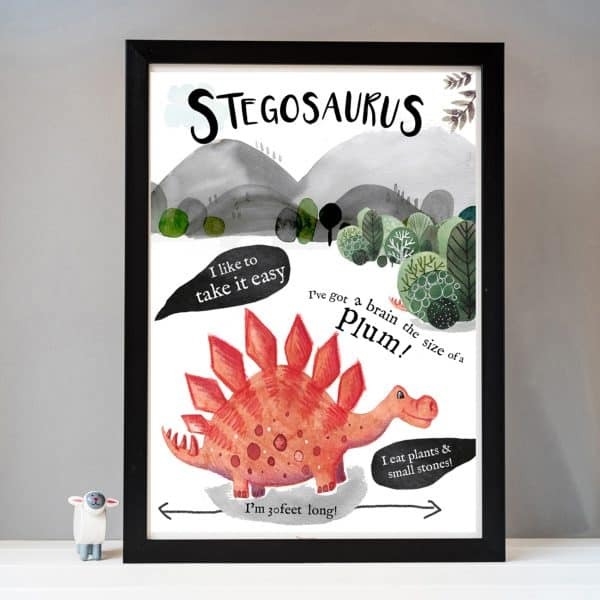 The stunning dinosaur print has been taken from an original illustration by Helena Tyce. 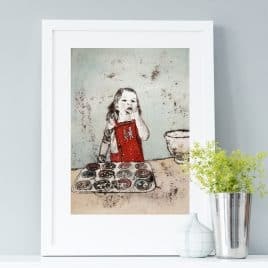 Originally rendered in watercolour and in Helena’s distinctive this print is perfect for the nursery or child’s bedroom. It’s brought bang up to date with modern colours and striking typeface. Remember when your mum taught you to bake? Standing on a chair in the kitchen eating far too much cake mixture! Your mum is probably enjoying these times all over again in her capacity as Grandma. Get your tots wibbling and wobbling with this jolly fine art print. 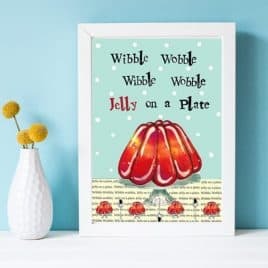 Featuring words from the popular children's classic "Jelly on a Plate" and a mouth watering strawberry jelly, this print is fun and educational at the same time. 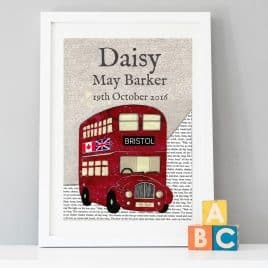 This lovely Personalised Birth Date Bus Print features the iconic image of a vintage red London bus on a soft grey background. 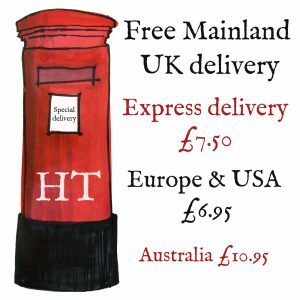 Taken from an original mixed media artwork which has been painted, collaged and hand printed with letter press type. Your print can be personalised with up to three names, baby's date of birth and weight above the bus. The number plate is personalised with the place of birth or a memorable place as shown. If this option is left blank the bus will have "BUS 1" on it's numberplate. What makes this print stand out from other's is that you have the option of 2 flags on the side of the bus as a unique way of acknowleding baby's heritage. Alternately some customers put their Football team's flag! It's up to you. 'The Wheels on the Bus' is a unique interpretation of the classic nursery rhyme. 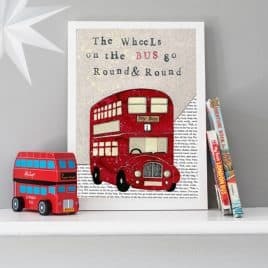 Featuring the classic red bus on a textured, soft grey background this popular print is a winner with bus-mad kids (and grown ups) everywhere.